Let the fun begin! Big Brother 14 is here and we have you covered! Check below to see what happened during the first episode and check back tonight for House Spoilers once the 24/7 live feeds begin soon. We’ve been covering Big Brother 14 for several months during the Preseason, including our exclusive houseguest interviews. Tonight after the premiere episode, the 24/7 live feeds will switch ON and we’ll be watching (hopefully alongside you)! Of course, you can watch all of the action LIVE yourself by taking advantage of the 3-day free trial of the live feeds. Start your free trial tonight or check out the perks of signing up, including free iPhone and Android viewing. 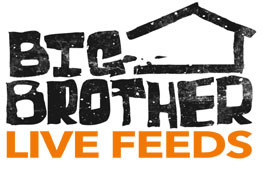 After the episode, turn on your live feeds to watch the houseguests 24/7. Lastly, be sure to follow @wlbb on Twitter for breaking Big Brother news. The new houseguests will be ‘coached’ by one of the returning mentor houseguests. Dan, Janelle, Britney, and Mike Boogie will be the four mentor houseguests, as we previously reported. Each coach will pick 3 houseguests they will “guild” all season long. If one of their houseguests wins the game, the coach will win $100,000. Britney’s team won the competition. Dan’s team came in last. Dan chose Jodi to be the first evicted houseguest. Julie Chen tells us to tune in Sunday for the next episode. Be sure to watch the houseguests live tonight with the 24/7 live feeds. Bookmark WeLoveBigBrother.com and follow @wlbb on Twitter. SPOILER ALERT: Continue reading for spoilers from this week’s eviction and Head of Household competition on Big Brother 12.